What if anyone in the world could access expert help and advice on fisheries management with just the click of button? Overfishing is a global problem that can only be overcome by a global effort to address it. But there is no one-size-sits-all approach. Fisheries managers need access to tools and methods that can be effective on a local scale. 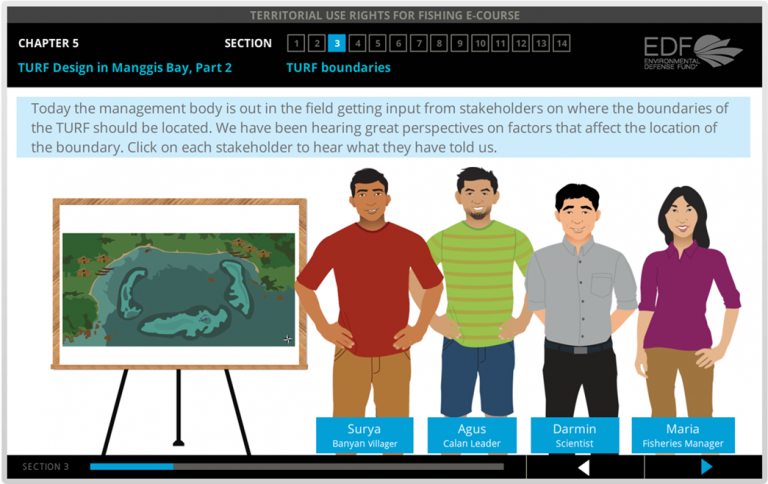 EDF's Virtual Fisheries Academy is a new resource for fisheries management professionals all over the world. Getting strong fisheries management in place around the world relies on an empowered network of fishery managers, fishermen, scientists and other practitioners who have the knowledge and skills to develop fishery management solutions that work for their fisheries. The Academy houses a set of interactive fisheries management e-courses which aim to support fisheries practitioners in solving local challenges by building upon their own knowledge and strengthening their understanding of complex fisheries management issues. The interactive format of these online courses supports experiential learning that can be accessed any time at no cost to the user. 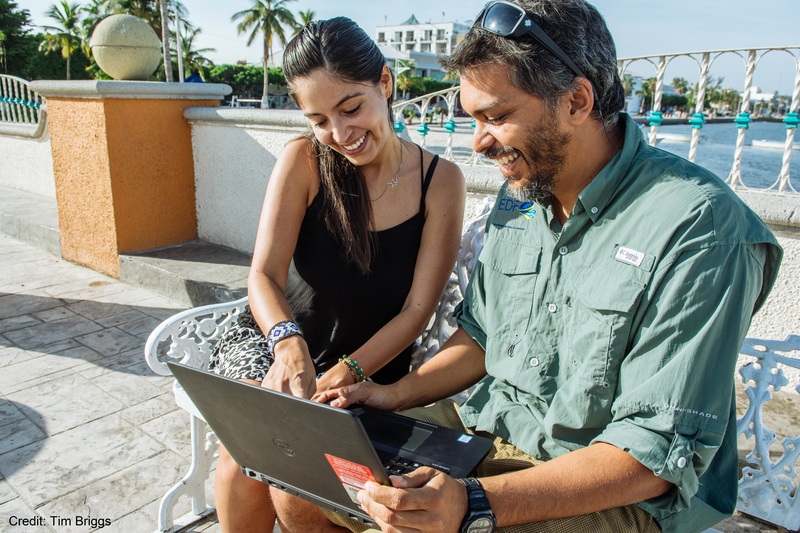 I’m excited to share this online learning center because our new Virtual Fisheries Academy platform allows us to harness the power of technology to take sustainable fisheries management to a global scale by enabling a broader audience to access fisheries management training. EDF has already seen the effectiveness of e-learning as a training tool for our own staff. Our e-courses have been instrumental in creating a deeper understanding of fisheries management principles among our staff, who are working with partners in more than a dozen countries to design and implement effective management solutions. The Virtual Fisheries Academy currently contains three sets of e-courses that cover a range of topics. The first is an Introduction to Fisheries Management that introduces learners to the basics of fisheries management and sustainable practices, including how to design secure fishing rights programs. The second covers key principles of design and management of Territorial Use Rights for Fishing, an area-based management approach. The third course gives an introduction to a framework and tools for Data-Limited Fisheries Management, a common need for fisheries that lack sophisticated stock assessments. All three of these courses can give learners a better understanding of how to set up fishery management systems that can help achieve biological, economic and social goals. I invite you to visit the Virtual Fisheries Academy and FisherySolutionsCenter [at] edf.org (contact us) to share your feedback on our e-courses. We look forward to hearing how the courses are helping people manage their fisheries sustainably, and how we can adapt and improve them. With your help, we can continue to empower a growing global network of fisheries management experts who share our vision of having more fish in the water, more food on people’s plates and more prosperous communities.